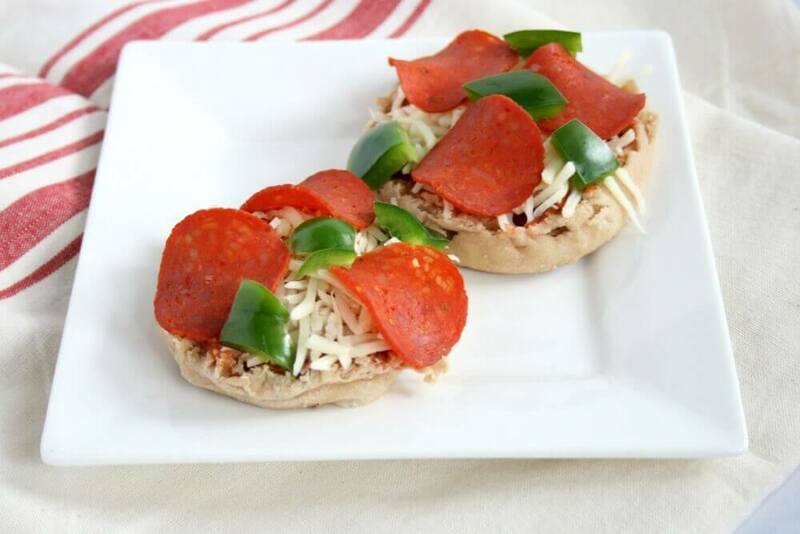 This healthier “lunchable” pizza lunchbox is just as easy and as fun as the classic pre-made lunch but with better nutrition thanks to some simple and fresh swaps. Who knew pizza could be good for you? Enjoying pizza in a lunchbox is doable and certainly better for you than the store-bought variation of a pizza lunchable. 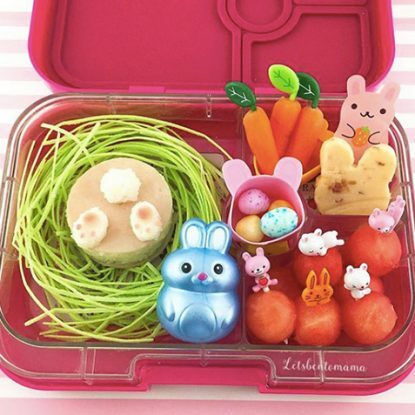 I like sending the ingredients in divided containers like a bento box so the girls can assemble at school. This keeps the bread/crust from getting soggy by the time they’re ready for lunch. By adding my own ingredients to their lunchboxes versus buying the premade lunch, it allows me to customize to their likings. 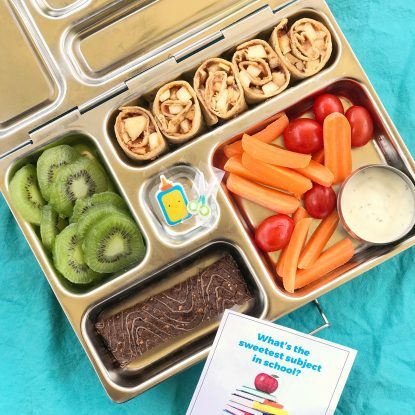 Plus, this better-for-you “lunchable” uses wholesome ingredients offering fewer preservatives and less sodium. If a heat source isn’t available at school (such as a microwave), allow the children to assemble and eat as is. If they’re making at home, I like to broil their individual pizzas for a few minutes to melt the cheese. Do your children like pizza? Do you ever send pizza in the lunchbox? If you’re in need of more creative lunchbox ideas then be sure to check out my Healthy Lunchbox Headquarters. I’ve packed it with over 200 lunchbox ideas, 36 FREE printable lunchbox notes, videos and all the tips I can manage to cram into one small space. Let me help make your lunchbox packing routine fun and easy! LIKE THIS EASY LUNCH BOX RECIPE? PIN IT! Spilt the whole wheat English muffin in half. Toast, if desired. Place cheese, pizza sauce, bell peppers, and pepperoni in individual small containers. 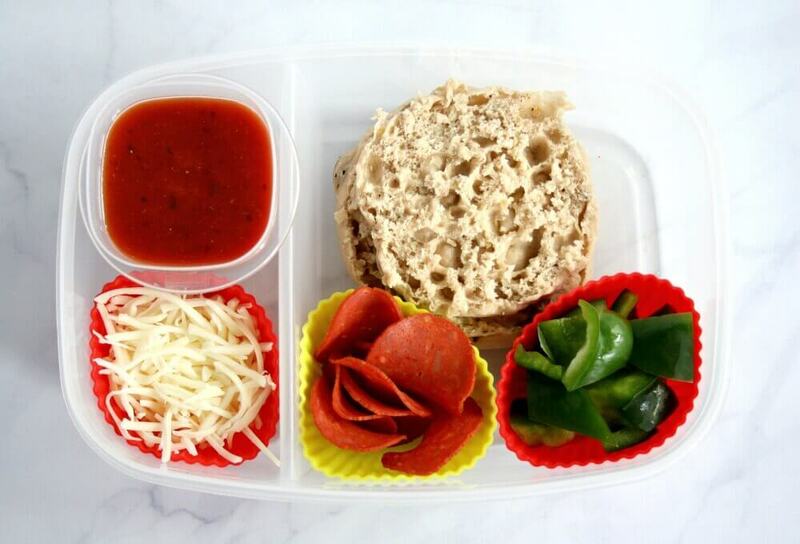 Let your children assemble the pizzas at lunch time by spreading pizza sauce on English muffin then topping with cheese, bell pepper, and pepperoni. Broil for 2-3 minutes or until cheese is melted (if oven is available) otherwise eat as is. 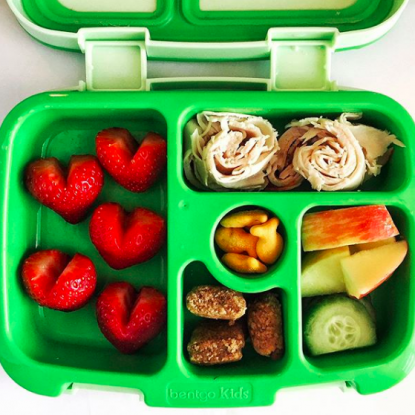 Boost the nutritional value of "lunchables" with this simple recipe. 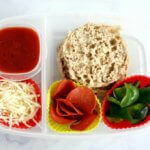 My healthier "lunchable" pizza lunchbox is just as easy and as fun as the classic pre-made lunch. Who knew pizza could be good for you? Chicken and ham both sound good. I bet Turkey Pepperoni is an American thing! You certainly could use regular pepperoni but I think a BBQ pizza with chicken and BBQ sauce sounds like a tasty option as well! Great idea! My kids always see the lunchables at the store and beg for them! Every now and again I give in (especially if they’re on sale) and they feel like they’ve had a special treat. But my kids would love these! It’s fun and healthier. Plus, my kids love English muffins! Thank you, Jennifer! Let me know if you try them!